There are so many ways to communicate our messages these days. You can snapchat, create virtual bulletin boards, scroll an endless vine of outtakes, follow a blue birdie, take a Tumble, snap a million photos to document your every move in an instant, watch a tube just for you and keep up with the book of faces . . . phew, it's exhausting being social! Want to know where I get my social on? Keep reading! First up: FACEBOOK - the get to know each other site. This is my Official Author Page. Here I post everything related to my books—teases, new releases, sales, updates—as well as random book stuff. It's where we can *do life* together. You can ask questions, make comments, share pictures, music and thoughts with me. I LOVE doing QOTD (questions of the day) and asking YOU about random things too. *Facebook can be stingy with showing posts for pages you 'Like' so make sure you comment on things, drop by on your own occasionally, and be sure after you like me that you're seeing me in your feed. Twitter can be hard to follow, especially if you follow a lot of people. 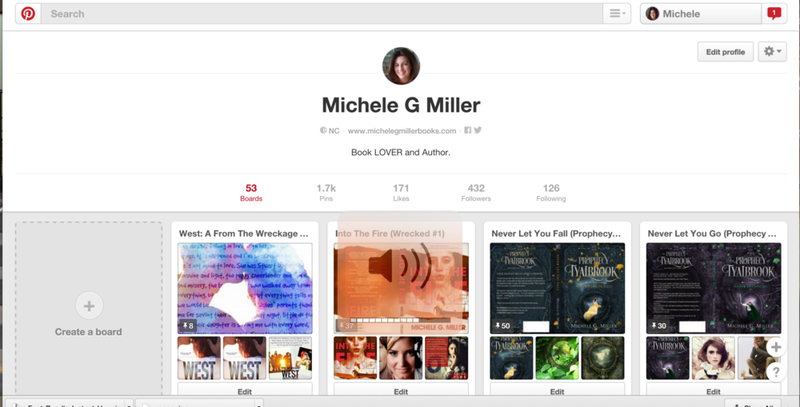 This is the site where I do most of my book sharing for OTHER authors. I tweet sales and new release for my peers often. I share cool articles, funny posts and often offer up commentary on things such as movies, music and television. *Twitter tip—search hashtags for what you're looking for (i.e. #NewRelease #Free #CoverReveal) Also if you're on a computer a lot give TweetDeck or another Twitter platform a try. There you can create columns for certain interests. 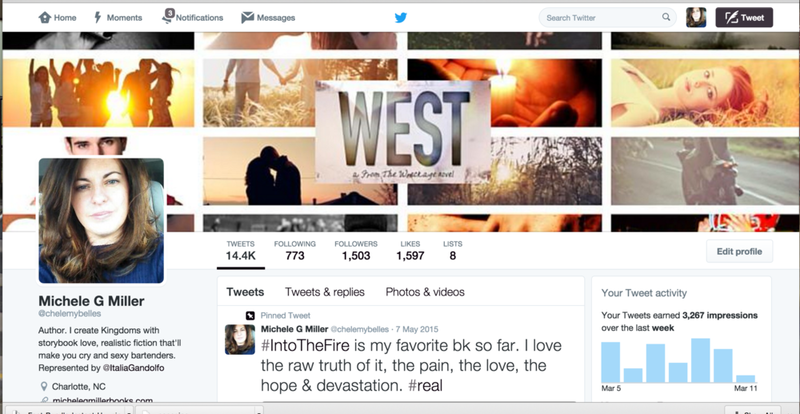 I have ones set up so I can see tweets about my books and tweets from my writing tribe. 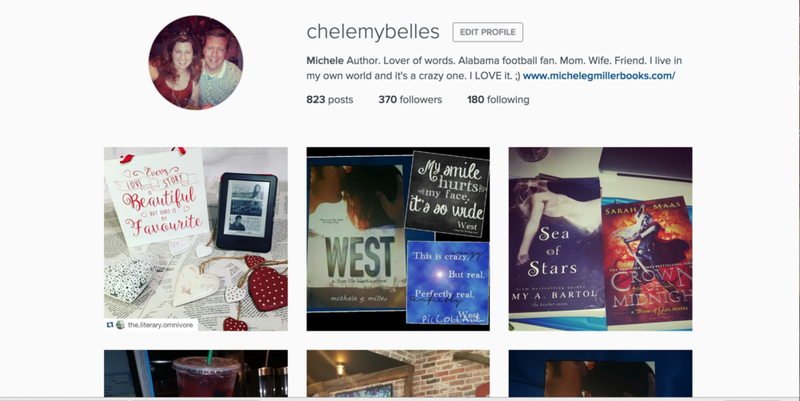 Plus, I create groups (bloggers, authors, cool people) to help quick sort things. Book pictures, food pictures, shots of my dogs, my town, my family, my life. This is what you'll get here! I love Instagram, because I love seeing my friends living their lives. Tip: Use the app 'Repost' if you want to share with your followers what other Insta-people post. GREAT TIP: Utilize private boards (a board that only you—or anyone you share it with—can see) to keep a Christmas shopping list. I pin whatever the kids want throughout the year so when it's time to shop I can scroll through and see what's still applicable. TUMBLR - I feed my Instagram to Tumblr and occasionally repost other people. YOUTUBE - I have a channel with one book trailer. Eventually I plan to use this more. There you have it, a few places to find me in the social sphere. Maybe someday I'll tackle the world of Vines and SnapChat too. Hooray! We here at Indie-Visible are thrilled to be (soft) launching our site! So, who the heck are we anyway? Indie-Visible is an awesome collaboration backed by a super talented team of writers, bloggers, and freelancers in the publishing industry, who you can meet here and here. Indie-Visible's BookHub is an online magazine where readers can connect with their favorite authors in fun, innovative ways. BookHub will have a variety of columns, including Indie Book Recommendations, Interactive Contests, and all sorts of activities aimed at getting to know talented authors and their books. If this interests you, be sure to click on the subscription link below! In the PubHub, writers can get tips on a variety of writing and publishing elements, as well as build their dream publishing team by selecting from our endorsed list of freelancers. Our goal is to provide the perfect "Hub" for writers, where an environment of expertise and professionalism will offer high-level support in all phases of the publishing process and beyond. If this interests you, be sure to click on the subscription link below! In addition to BookHub and PubHub, Indie-Visible has another AMAZING (Top Secret!) program set to launch in February. Keep your eyes out for an announcement sometime in January. Keep up on all the goodies by subscribing to our BookHub and/or PubHub newsletters (see below). All subscribers will also be automatically entered to win one of our AWESOME GIVEAWAY PACKAGES. More details on those coming during our Full Launch in January!